CBS did a better job of streaming the Super Bowl than rival networks in previous years, and it has the viewership numbers to show it. On average, Super Bowl 50 had a streaming audience of 1.4 million, far ahead of NBC’s 800,000 average viewers per minute last year. CBS’s total streaming viewership was also way up with 3.96 million unique viewers, compared to NBC’s 2.5 million unique viewers for Super Bowl XLIX. As for total minutes streamed, CBS served up 315 million minutes of coverage. NBC managed only 213 million minutes in 2015. The increase in streaming viewership came despite a decrease in viewers of the main Super Bowl telecast. CBS said it drew an average of 111.9 million viewers, putting it in third place behind Super Bowls XLIX (114.4 million) and XLVIII (112.2 million). 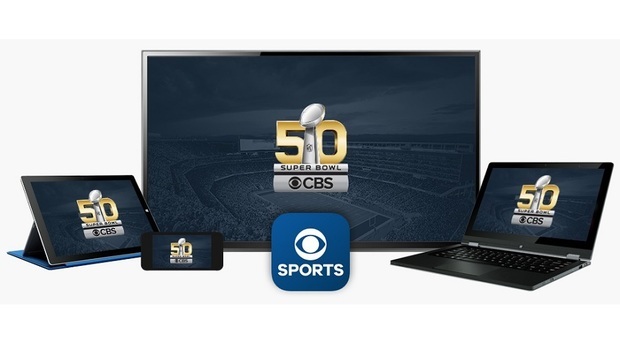 It’s no big surprise that CBS’s Super Bowl stream notched record viewership. While other networks have streamed the game to phones, tablets, and PCs in years past, this year marked the first time viewers could watch through connected TV apps for Roku, Apple TV, Amazon Fire TV, Xbox One, and Chromecast. In another first, CBS’s live stream included the same commercials as the main telecast, and also included the halftime show. For some perspective, Fox Business recently boasted of 1.4 million peak concurrent streams of its November 2015 Republican presidential primary debate. (CBS didn’t give a figure for concurrent streams, but the debate did beat out NBC’s 1.3 million concurrent Super Bowl streams in 2015.) And in October, an average of 4.2 million people were concurrently streaming League of Legends’ 2015 World Championships, though those viewers had no other way to watch. Why this matters: The decline in telecast viewership could be another sign of decreasing pay TV subscriptions, or it could simply be a consequence of the less exciting defensive battle that unfolded. Still, the spike in streaming shows that there’s value in offering more viewing options for people who don’t subscribe to cable. Hopefully it’s a lesson other TV networks will learn when it’s their turn to broadcast the Super Bowl down the road. Kathryn Cave (Global) - Can Apple Keep it Up? Kasey Cassells (Global) - The New iPad: The Most Exciting Launch of the Month? Dan Swinhoe (Global)- Are We All Suffering From Apple Apathy? Kasey Cassells (Global) - Mobile Business: Will The Smartphone Ever Replace the PC?